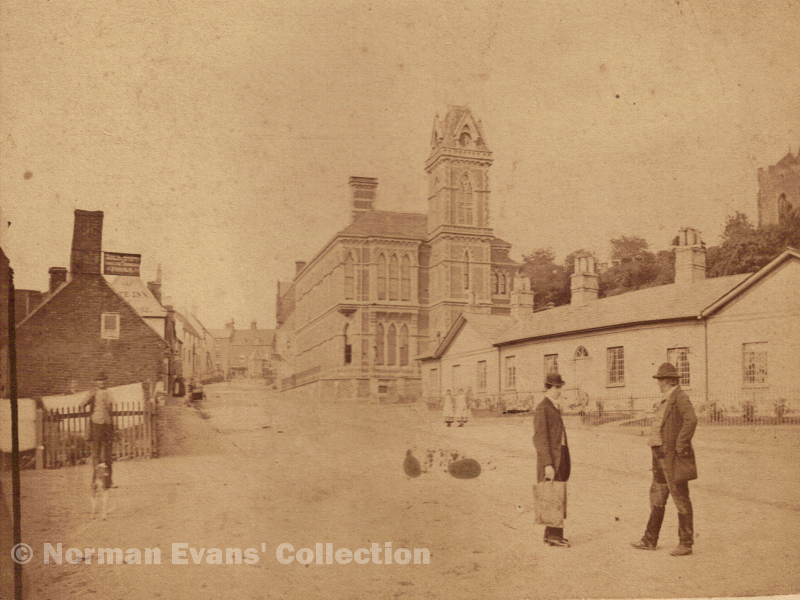 Mill Street c1870 - the site of the ten almshouses is now a car park (photo courtesy Sutton Reference Library). Sutton Coldfield became a self-governing town in 1528 by virtue of a charter granted by King Henry VIII. One of the duties of the new corporation was to provide almshouses for the aged poor - prior to 1528, when Sutton was a feudal manor, alms were distributed to the poor by the officers of the manorial court. Almshouses were duly built, and flourished for a time, but fashions changed and a spirit of independence grew up which made folk prefer to stay in their own cottages rather than depend on charity. New legislation in the eighteenth century required the provision of a workhouse in Sutton, and on the sixth of March 1737 the minutes of the Warden and Society record “That the Almshouses belonging to this Parish (which are become very ruinous and much decayed) shall be taken down and all the Timber Bricks and Materials which shall arise therefrom shall be applied towards building a workhouse where the old school stood”. There was still some provision for the elderly infirm at a parish house at the Blabbs (at the bottom of Reddicap Hill), but in the 1780s the Warden and Society came under pressure to provide something better. After a long legal process in the Court of Chancery, a scheme for the proper management of the affairs of Sutton Coldfield was put into operation in 1824, and included in this scheme was the provision of ten almshouses in the town. By this time increase in population had resulted in a housing shortage and the aged poor were happy to move in. The occupants of the almshouses received a grant of fifteen shillings a month if single, 25 shillings for a married couple. The ten almshouses were in Mill Street, but Sutton was a large parish with a scattered population, so a further ten houses were built in the districts with the help of local philanthropists - at Mere Green, Boldmere and Walmley. A notice was put up on the door of the parish church and on the Town Hall door when a vacancy occurred, and there are frequent references in the Warden and Society minutes to candidates being “elected” to an almshouse. However, Sutton received a new Charter in 1885 giving the new Corporation different powers but taking away the management of charitable foundations. A new body was set up, The Sutton Coldfield Municipal Charities, which took on responsibility for the almshouses. Eventually additional almshouses with better accommodation to replace the old ones at Mill Street, Mere Green and Boldmere were provided at the Fox Hollies Road site in Walmley, where the Sutton Municipal Charities still administers them.